October 22, 2018 – The 18th annual Opera Canada Awards — ‘The Rubies,’ was a stupendous success. 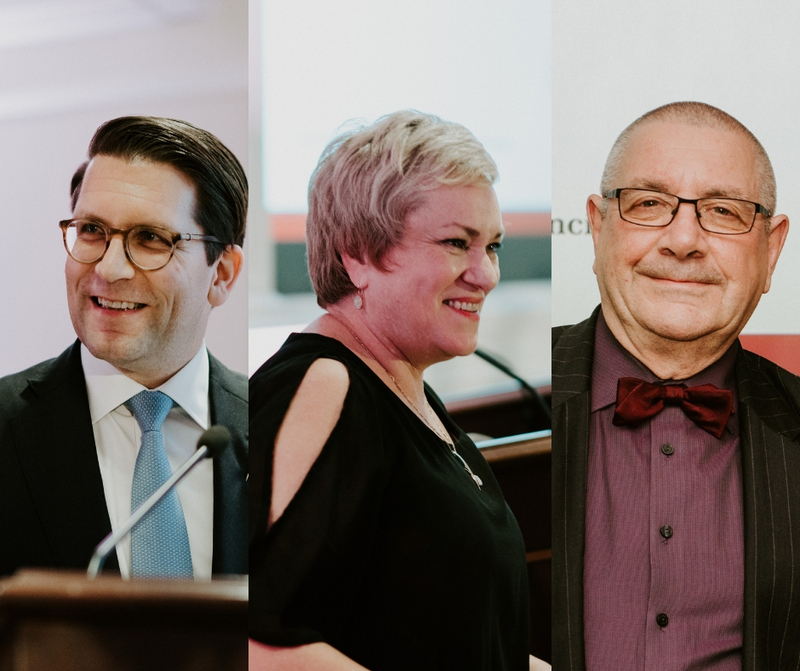 Our sold out gala brought together members of the opera community from across the country including Winnipeg, Edmonton, Montréal, Victoria, as well as guests from across the border from New York and Boston. Our honourees Alexander Neef, Dominique Labelle, and Wayne Gooding were each presented with their awards in speeches full of nostalgia, praise, and congratulation given by Sarah Billinghurst Solomon, Yehudi Wyner, and Linda and Michael Hutcheon respectively. Guests were welcomed with a wonderfully angelic performance by the Canadian Childrens’ Opera Company with two selections from John Greer’s The Snow Queen. Soprano Joyce El-Khoury ended the night on a high note with her powerful and emotional renditions of “The Song to the Moon” from Dvořák’s Rusalka and “Arrigo! Ah, parli a un core” from Verdi’s I vespri siciliani both accompanied by Rachel Andrist at the piano. Thank you to all our guests, volunteers, sponsors, and supporters for helping us make this annual event a resounding success. We look forward to next year! Please take a look at our wonderful photo album of event highlights by Gaetz Photography posted on our Facebook page here.